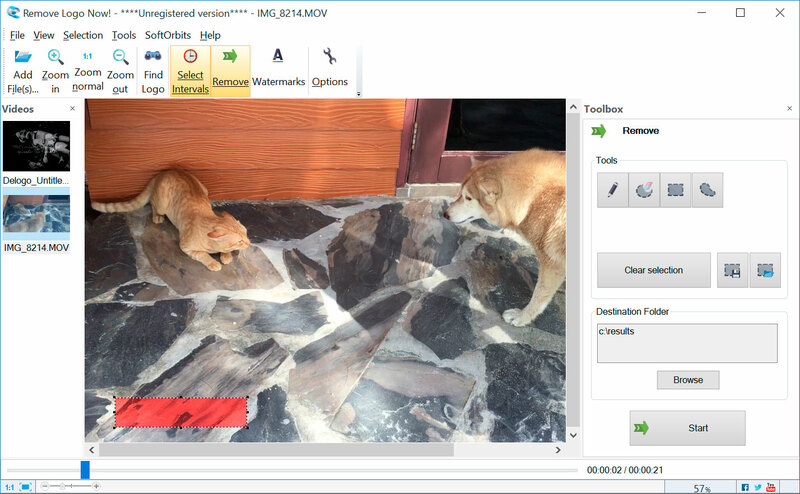 Remove annoying logotypes, text overlays and non-removable subtitles from your videos in full auto mode with Remove Logo Now! Remove Logo Now! features a unique artificial intelligence algorithm. The smart fill algorithm analyzes adjacent frames to patch frame overlays leaving no visible residues. Embedded date and time overlays were a feature in the past, becoming a major annoyance today. Often accompanied with running frame count, blinking recording indicator and other information, these objects are unwanted today and can be deleted with video watermark remover. Remove Logo Now! can automatically detect and remove date and time overlays. Since these are running numbers as opposed to being a single static overlay, you’ll have to specify the location of these overlays by selecting the frame with a mouse. Once this is done, video watermark remover will take care of the rest to delete watermark from video.